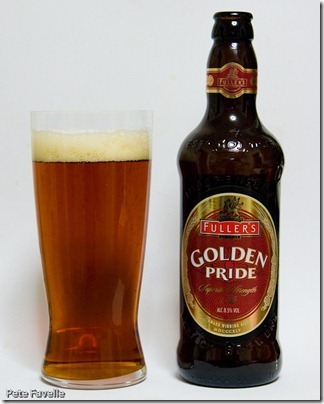 It’s taken me a long time to learn to love Fuller’s beer. The pub at the top of our road is a Fuller’s pub and when we first moved in nearly two decades ago, I felt it was important to check it out. Back then, they didn’t have the best landlord and I was left with the conviction that their beer was pretty ropey. A few years ago a visit to their brewery let me know how mistaken I’d been, and I’ve developed something of a soft spot for them. 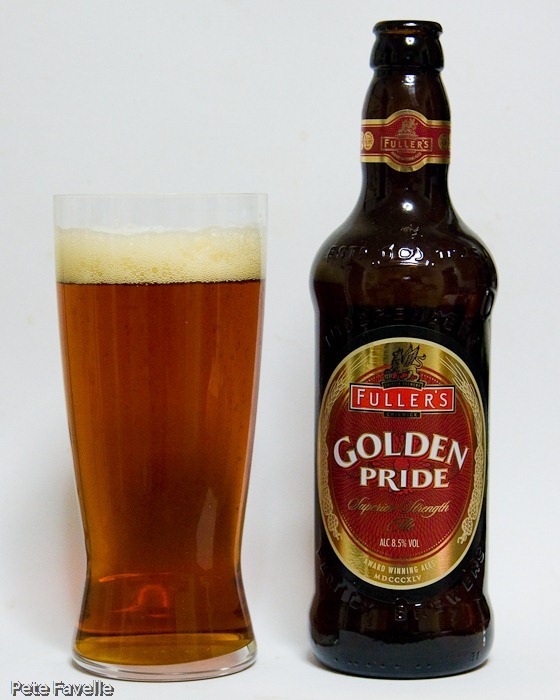 This is their Golden Pride, an impressive 8.5% that is described as “arguably the ‘grand cru’ of Fuller’s bottled beers”. It’s a beautiful looking beer, a crystal clear deep copper with a fine bubbled lingering head. The nose has a slightly metallic tang, and some toasted malt but doesn’t reveal too much of what is to come. The taste is far more complex; rich fruit, toffee sweetness that avoids becoming too syrupy and with a distinct and warming alcohol background. The finish is relatively dry and that alcohol warmth stays with you. Overall, it’s a seriously tasty beer, and one that doesn’t come close to tasting as strong as it is.